Advent Calendar Window No. 22. 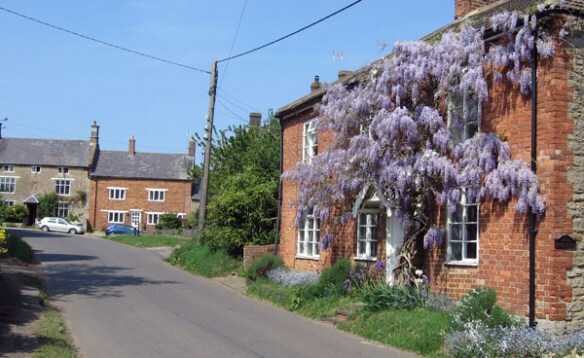 Wisteria Cottage, Helmdon Road. Having covered 21 of these lovely events, I was unavoidably absent from No. 22. Grateful thanks to Chris Behan and Hywel Lloyd for the photographs which can be seen by clicking on “rest of this entry”. This entry was posted on Saturday, December 23rd, 2017 at 10:27 pm	and is filed under News. You can follow any responses to this entry through the RSS 2.0 feed. You can leave a response, or trackback from your own site. What wonderful old pictures you’ve found Colin. 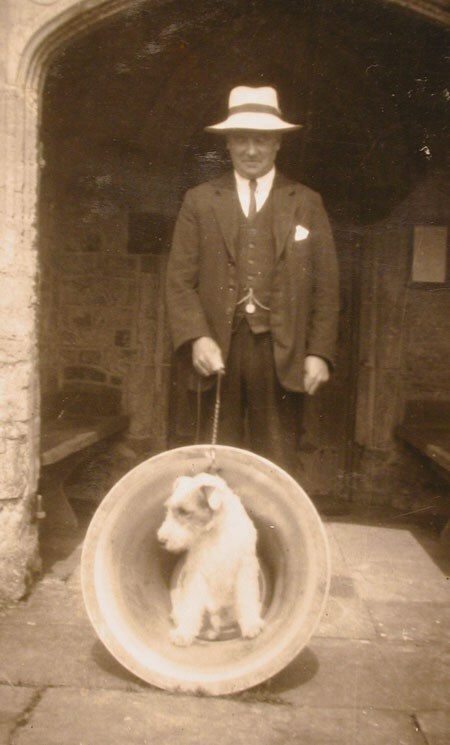 I never knew that it was a bicycle shop, and Wally the dog ..
Wisteria cottage. 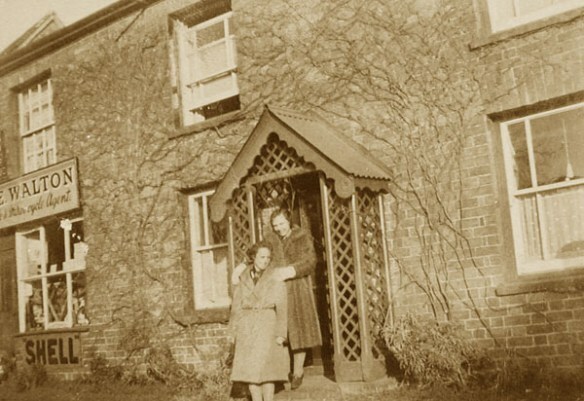 The photo of Edith Walton and evacuee Rennee on the doorstep brings back memories. 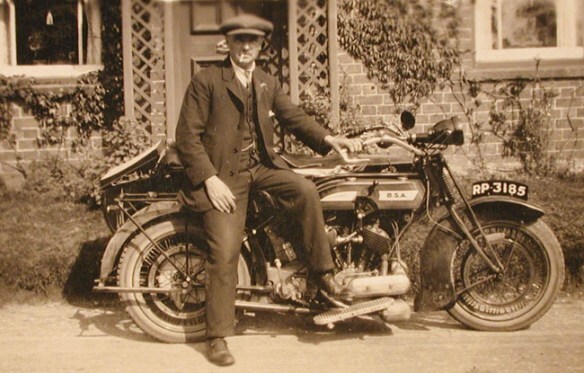 Rennee married Arthur Barrett from Greatwvorth and her sister Grace his brother Dennis. Rennee was for many years secretary of Greatworth W.I.,when my mother was President. She died suddenly in her sleep many years ago.